Description: The Serrata is a practical fixed blade knife designed by Stuart Ackerman, a customer knifemaker from New Zealand. A very utility-oriented design, that reminds me of a wider-bladed version of the bushcraft. 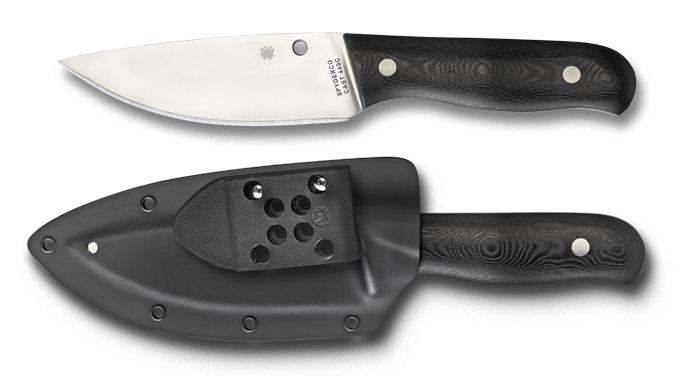 Comes complete with a molded boltaron sheath with G-clip. This entry was posted on Wednesday, March 19th, 2014 at 3:56 pm	and is filed under 4" or Larger Knives, Designer - Stuart Ackerman, Handles - Micarta, Manufactured - Taiwan, Steel - 440C, Type - Fixed Blade, Type - Outdoors, Type - Utility Knives. You can follow any responses to this entry through the RSS 2.0 feed. You can leave a response, or trackback from your own site.